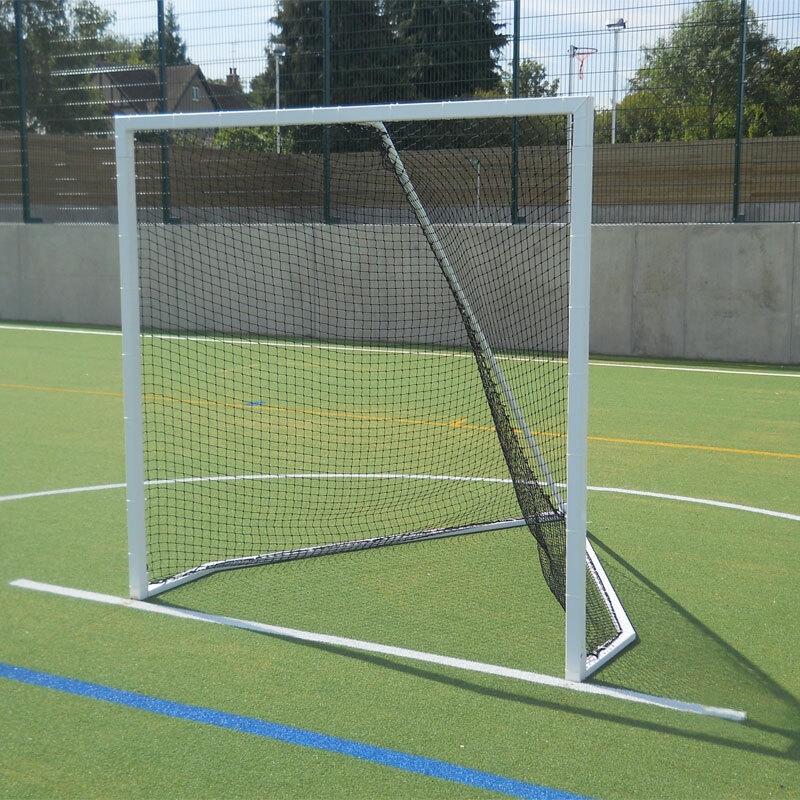 Harrod Sport ® Freestanding Lacrosse Goals with Nets are suitable for practice only. 2 x Freestanding Steel Lacrosse Goals. 4 x 'U' Peg Anchors. Uprights, crossbars and base frame manufactured from 50mm square x 2mm thick steel. 32mm diameter x 1.5mm zinc plated central net supports. With 2 'U' peg anchors. Includes 2mm black polypropylene nets. 1.8m high x 1.8m wide. Lost the instructions for your Harrod Sport ® Freestanding Lacrosse Goals? Please Click Here to download a new copy.